Home » The Gottman Relationship Blog » To Love, or to Like? I love my husband dearly, and it is easy to list all of the things that I love about him. He’s a gorgeous man and I love looking at him, and he has this adorable little mole on his ear. He is so generous with his love. He almost smothers me with it, and I absolutely love every bit of it. He worries about my safety and looks for ways to protect me, even though I don’t necessarily need protecting, but it’s nice that he makes me feel so safe. We have also had to learn to “like” each other as well. ”Like” is a word that is underrated, while the word “love” steals all of the attention. Love, as an action and a word, is easily and freely given and accepted, while “like” is usually felt but not always spoken or heard. The act of liking your partner doesn’t seem to be given the credit it deserves. But, I wonder how hard it must be for my husband to like me all of the time, with the sheer amount of time and energy it must take for him to put up with all of my idiosyncrasies. Candidly speaking, I don’t think that I’m easy to like. I mean, I barely like myself some of the time, and yet my husband finds ways to like me regardless. So, what does it mean to like your spouse aside from loving your spouse? What is the psychological difference? In 1973, social psychologist Zick Rubin published the results from a study in the Journal of Personality and Social Psychology, which was based on a love scale and a like scale presented as written questionnaires to couples. Rubin found that we tend to admire those we like and enjoy their company, but love created a desire for physical intimacy as well as an empathetic feeling that caused a romantic partner to care for their partner’s needs as much as their own. Well, which is more important to the longevity of relationships? Loving, or liking, or a combination of both? There is an art to being able to like your spouse regardless of how much you may love them. When couples start to feel like the love is dying out, is it really? Or is it the ability to stay in love with them even when you don’t particularly like them at the time? When does the feeling of liking your partner die out, and what can we do to keep it alive? My husband isn’t always easy to like. He makes decisions that I don’t necessarily like. He has some tendencies that I know I do not like. He may say something that I don’t like or want to hear, and sometimes, like anyone, he can be flat-out unlikeable. I can easily distinguish what I like from what I don’t like about him, even though I love him dearly. However, the Gottmans have found that liking your partner is crucial to a relationship. 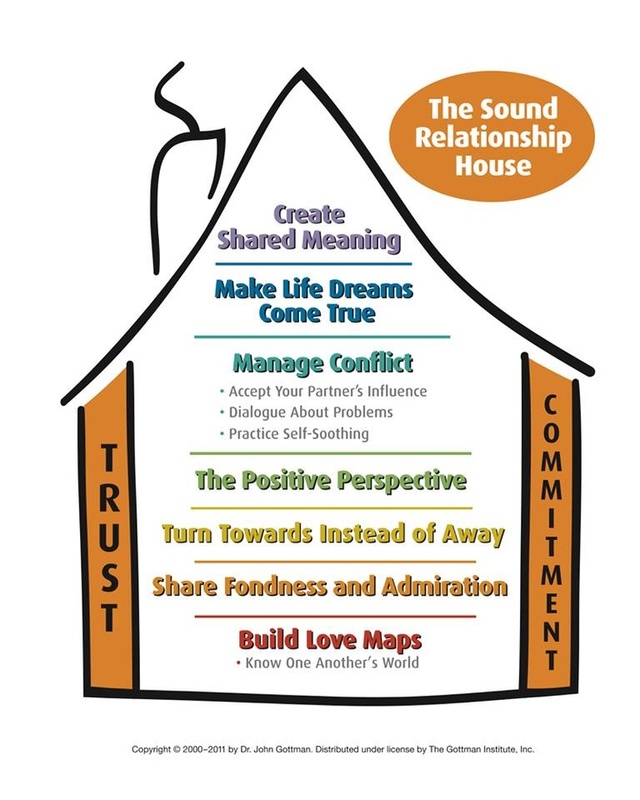 The Gottman Sound Relationship House incorporates the love and like parts of a healthy relationship in two areas: Building Love Maps and Sharing Fondness and Admiration. These components of a relationship encourage you to discover, understand, and grow fond of (or like) your partner. The process teaches that you both are better for truly getting to know your partner, including their quirks and habits that may annoy you. But, that process enables you to turn towards each other in times of strife or distress, and it creates a foundation of trust. This has helped me to examine the art of knowing and loving my husband, so that my vow to love and cherish my husband can go beyond what I deem likable or not. Just as I want to be loved and cherished, his acceptance of me, especially including what he may not like, is important to keeping our marriage strong and stable. Sometimes I snore like a bear, but he accepts that. My flaws are some of the things that make me wonderful and unique to him, which is why he chose me. That is reason enough for me to look past a few of his flaws as well and to trust that maybe, in spite of what I think is decidedly likable or not, is actually more loveable than I might have realized.